Apart from hormones, moods, gigantic breasts, and a bump- my pregnancy introduced me to your blog. I have found strength, comfort and wisdom in so many simple things from Dr. Browns Bottles to cloth nappies to your sane advice. To provide you some background- I married an amazing man about 3 years ago and moved to South Africa. I am originally from India- and having been a floater for a fair share of my life- I found home with my husband. In May 2016- I discovered I was pregnant and its been a thrilling journey ever since. I initially wanted to go back to India to have the baby- My parents are in India and the rest of my family and friends. But as time has passed my husband and I found ourselves wanting to have the baby in South Africa. The perks of having the baby in SA include a great medical aid plan, easier immigration requirements (getting a SA visa from India- is quite the task these days), and a great doctor who has knowledge of my history and plus we now have a home here. The greatest perk of all of them being having my husband through the pregnancy and as the baby is born. If I were to go back to India- I will have to leave SA by my 30th week- which means requesting for a 7 month maternity leave! While my employer is understanding- I sometimes feel I could rather take that 7 months once the baby is here. Indian families tend to take over the baby and mamma care completely- and I do find my husband feeling he might not have any time with the baby if I were to go back to India. An added issue is a nice long 16 hour flight and change of medical practitioners well into my 3rd trimester. So here is the problem- My parents- especially my mother is very very very hurt and disappointed that I am even considering South Africa for the baby. While she has agreed to come down to help me- I am left feeling very guilty about my choice. I am made to feel that I have not been sensitive to my parents’ needs- as she has to leave my father and the dogs alone for 6 weeks- and my oldest doggie is about 16 years old. She has even mentioned that she does not know if he will survive without her. She feels that coming to South Africa would also take her away from her responsibilities and her job- as she has to apply for leave. I feel extremely guilty that I am making her leave her comfort zone. She has also said that she and my father feel extremely pained for having missed my pregnancy- that they have not had a chance to even make a meal for me! She has turned down an invite for my father to join her in South Africa- stating that the dogs cannot be alone, and there will not be enough space in my home for her and my father and the baby- as newborns need a lot of stuff and space. As much as I feel like I have robbed them off a piece of my life- this phase has been an immensely precious time for my husband and I. While I have never intended to exclude them- circumstances have shaped out to be that way. I do have a full time job here and cannot visit them as often as I would like and I continue to financially support my parents and family- and I did not want to spend money on travel as I wanted to keep this going till things on their end were a little more secure. The financial support has sort of blown a small hole in my wallet- and the 2 extra months at work which I get- if I were to have the baby in SA- would only help close the hole (a little)- and give me a chance to buy my daughter a few more things! My mother feels that I should not care about the money- and think of the care the baby would get with so many loved ones around. She also feels that childbirth and labour are hard- and in SA I will not get as much support as I would get in India- with my parents, siblings and family around. Having had a miscarriage in the past, I am at this stage where I am apprehensive about the travel and change of doctors- the doctor here did my D&C last time- he knows my history and has a good rapport with me! But I feel that maybe that would be an easier adjustment than my mother having to come down? Also, in Indian culture the girl always goes to her mother’s house for the baby.. well I have never really followed culture- I prefer to craft my own little traditions along the way! But in this case- am I robbing my parents of a piece of their life they were looking forward to? Do I really need to feel this guilty? My mother had me when she was 22- and has done so much for me! Am I being unfair to her and my father by deciding to stick on with my husband during this time? Also, am I being selfish for looking at this from the point of view of financial security, immigration and most importantly my baby having her father around and me my husband? This has been causing me sleepless nights and I don’t want any more stress for my husband, my little bundle and myself- so any advice you may have on this will help! P.S.- thank you for patiently reading this- it is longer than I thought it would be! Oh no. Oh no no no no nooooooo. Please allow this neutral third-party Internet stranger to absolve you of your guilt. ALL OF IT. Because, no. Look, I absolutely understand you’re bucking some very deep and important cultural traditions, but believe me when I say that unnecessary parental guilt trips are a universal phenomenon, and I am not a fan of them. Because that’s exactly what your parents are doing. Yes, they are completely entitled to some disappointment. No, they are not allowed to guilt trip you into a generalized anxiety disorder WHILE YOU ARE PREGNANT over that disappointment. You laid out an incredibly strong and detailed case as to why having your baby in India would be a burden on you and your husband, and why South Africa is preferable. Meanwhile, I would have settled with “I want to have my baby in South Africa because I want to have my baby in South Africa” and I’d STILL be on your side. Your pregnancy, your baby, your choice. This is going to sound harsh, but your mother is being flat-out cruel to you. Putting an elderly dog’s possible death on YOU? Complaining about applying for a few weeks’ leave while expecting you to apply for SEVEN MONTHS? (From a job that you already use to support HER financially?) Guilting you over the fact that they feel “left out” while basically demanding a scenario that will shut your husband out of his daughter’s birth and the first months of her life completely?? No. No to alllllll of that. You have your baby where you want to, with a doctor you trust and your husband by your side. Note: don’t ever say she’s making you feel guilty. Because that’s 1) what she wants, and 2) implies that you are admitting some level of betrayal or wrong-doing. She is making you UPSET. Distressed. Anxious. Unhappy. You know, bad feelings that a good mother doesn’t want to make her daughter feel. 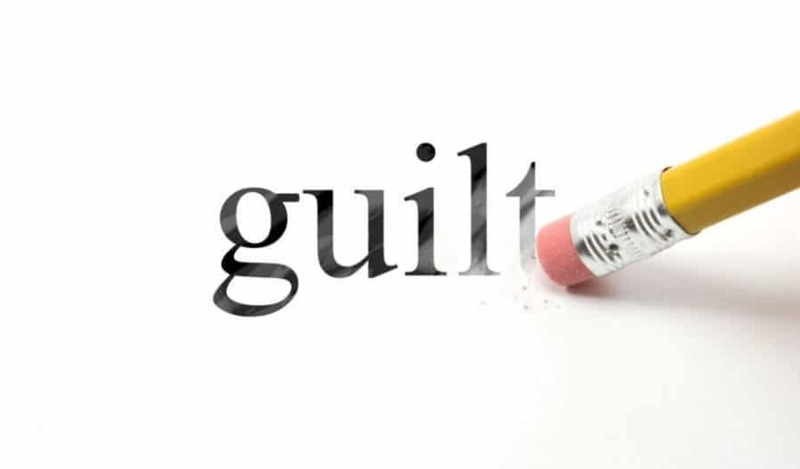 I am so sorry you are feeling all those bad feelings (which you are, even if you keep referring to them with the umbrella term of “guilt”), because again, you’ve done nothing wrong. You’ve been a good (excellent, even) daughter. You ARE a good daughter. But now it’s time for you to also be a good wife and good mother, and make the best choice for your new family. And for what my opinion is worth, I genuinely believe you are. Dear readers, as you have noticed by now, with the new website, we have a new commenting system. You can leave a comment without having to register. Just sign in as a “guest.” We love and appreciate your insights!